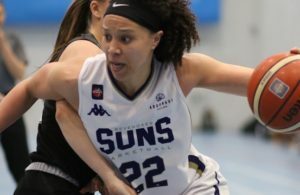 Ogo Adegboye has been recalled to Great Britain’s squad for Thursday’s EuroBasket 2021 pre-qualifier against Austria. 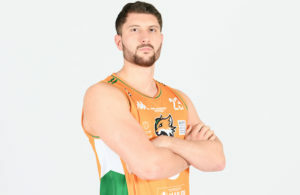 The guard, now 31, takes his place in a 15-strong initial roster for the game in Manchester despite playing just two games since coming out of retirement to sign for Italian side Rieti. He is one of two surprise names summoned by head coach Alberto Lorenzo with 18-year-old guard Jacob Round of Fuenlabrada and 17-year-old Real Madrid playmaker Kareem Queeley handed first chances at senior level. Dan Clark, expected to be named as Kieron Achara’s successor as captain, joins Round among four Spain-based players. The injured Luke Nelson, Akwasi Yeboah and Mo Soluade are absent, Tarik Phillip is unavailable while playing in the NBA G-League while an ACL tear sustained by Devon van Oostrum last week ended his hopes of a return. 12 will be named on the final team for the contest at Belle Vue with the game due to be screened live on mvp247.com. Meanwhile Austria coach Kęstutis Kemzūra has confirmed his dozen players to face GB, led by veteran Oldenburg forward Rasid Mahalbasic. Davor Lamesic and Florian Trmal were replaced on Monday from the original line-up by Daniel Friedrich and Worcester Wolves’ Filip Kramer. 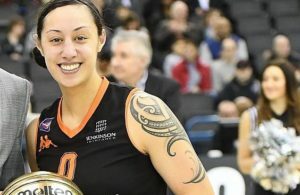 Meanwhile FIBA has confirmed that the Copper Box in London will be the venue for Great Britain’s other home qualifier, against Cyprus, on February 21.